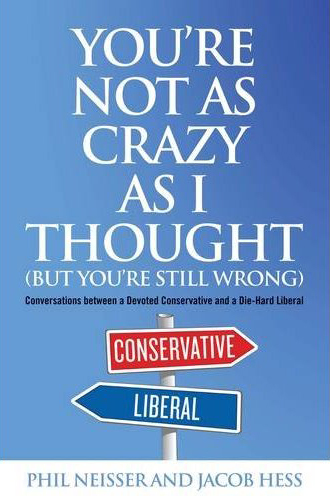 You’re not as Crazy as I Thought is a thoughtful and entertaining conversation between two researchers from opposing ends of the American political spectrum. They argue, listen, and learn. They discover common ground. Yet they resolutely disagree about most of the core issues. And by doing all of that at the same time they suggest that normal citizens can – dialogue by dialogue – build a nation of strong communities, reasoned discourse, mutual understanding, and improved public policy. Just pre-ordered the book! Can’t wait! phil, thank you so much for my copy. i cant wait to read it. gonna start tonight. My pleasure Mark, I hope you like it. Congrats on the book, Phil! Looking forward to reading it.